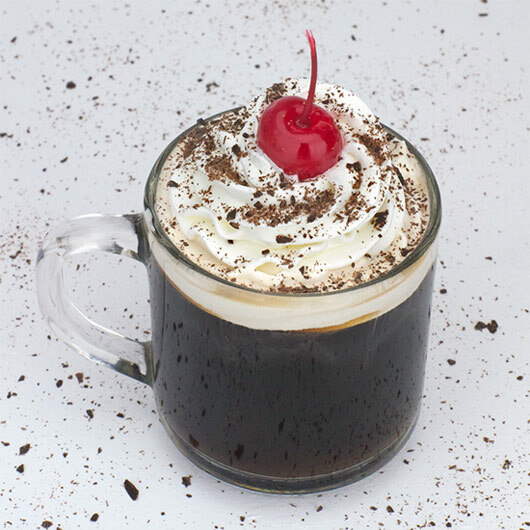 Pour the coffee into a coffee mug (the larger the mug - the more room for whipped cream). Add the chocolate syrup and cherry juice and stir. 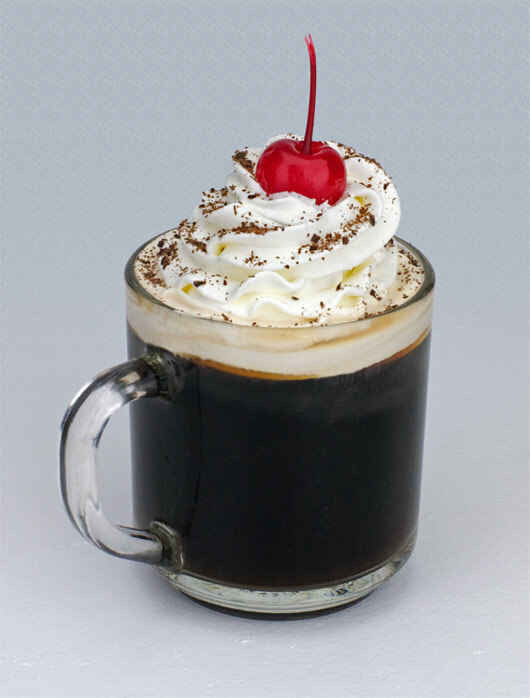 Top generously with whipped cream, chocolate shavings and a cherry. Recipe number 2521. Submitted 3/6/2009.